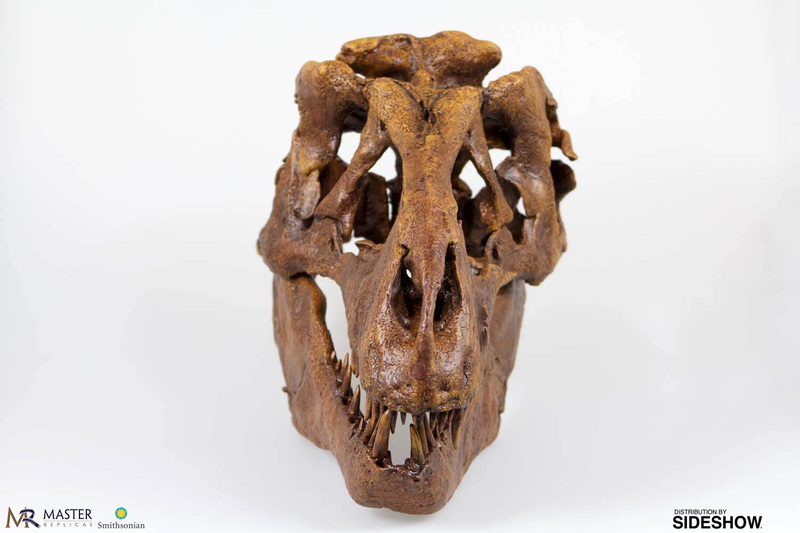 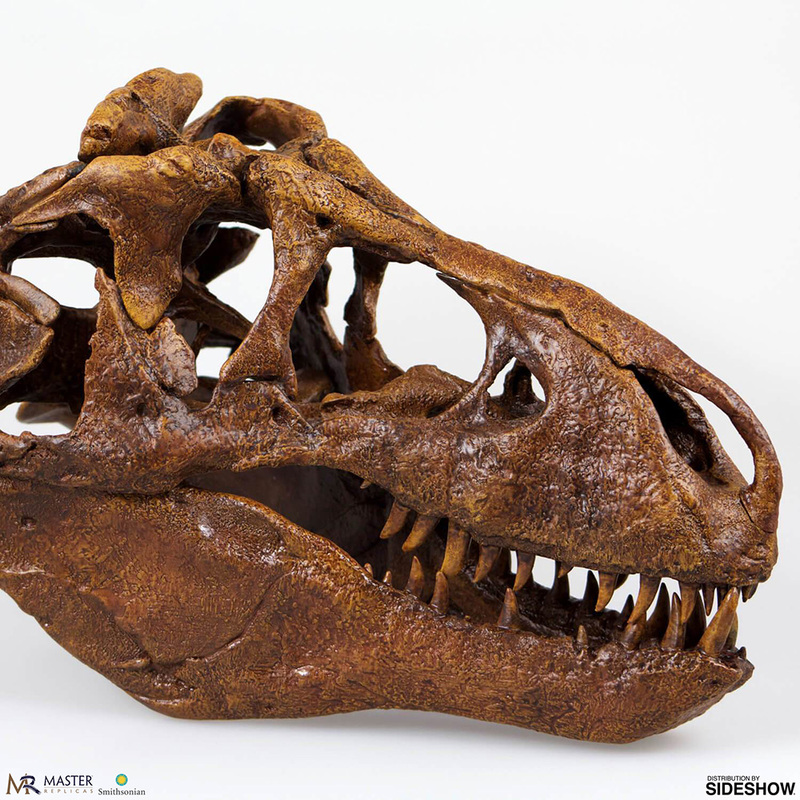 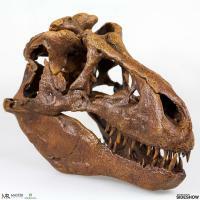 The Nation’s T. rex, USNM 555000, is one of the most celebrated Tyrannosaurus specimens ever found. When it was first unearthed in 1988, it included approximately forty-six percent of the skeleton, making it the most complete Tyrannosaurus specimen discovered at the time. 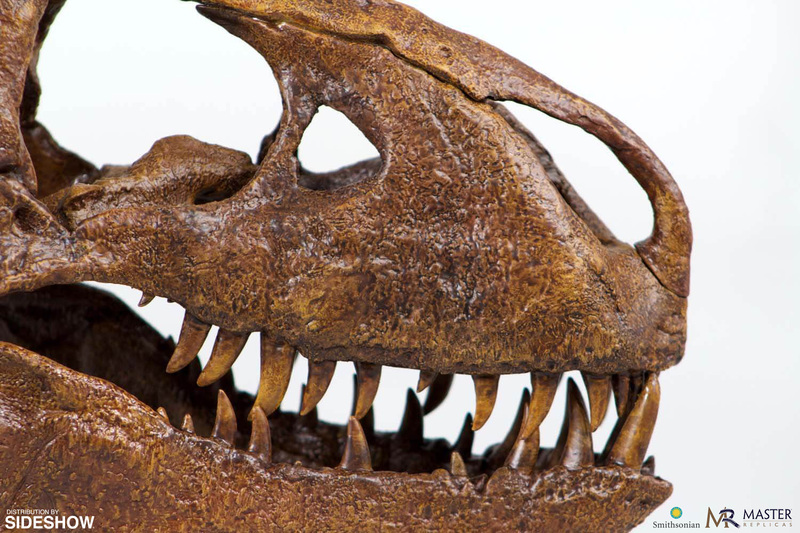 Scientists found an entire arm, enabling them to better understand the biomechanics of the T. rex forelimb. 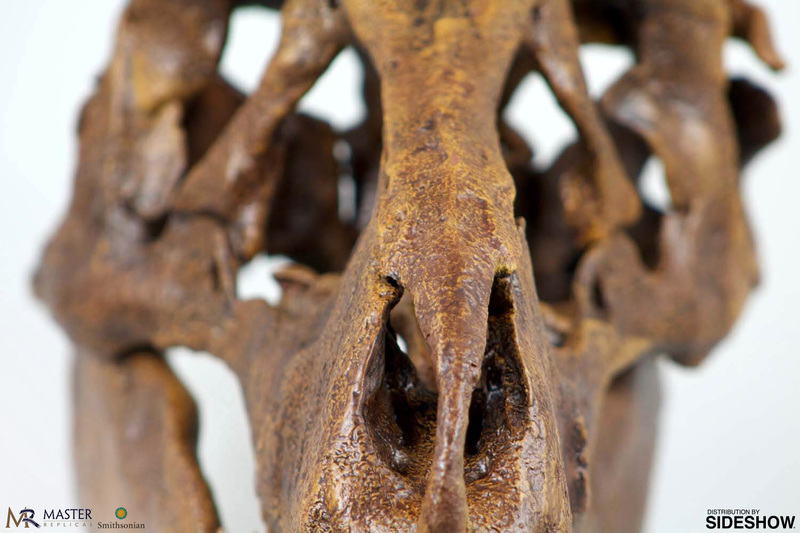 Later studies revealed the animal was approximately eighteen-years-old when it died. The Nation’s T. rex was the first dinosaur specimen found with preserved blood proteins. 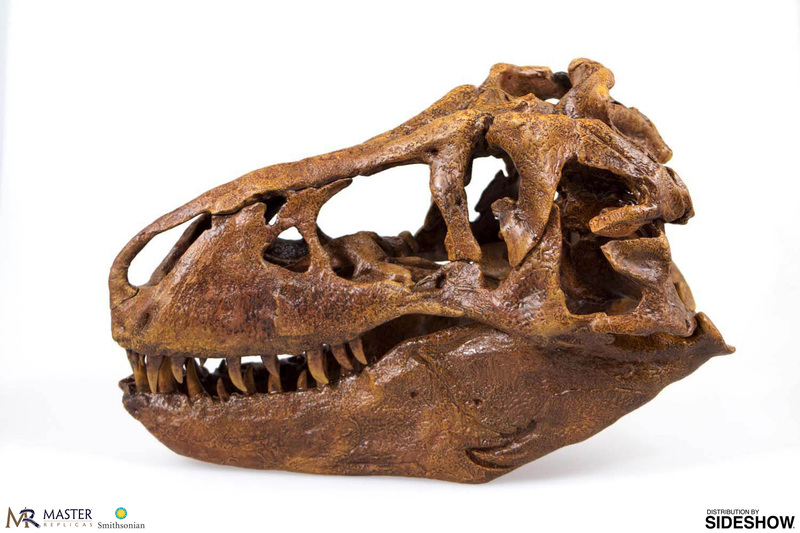 USNM 555000 enabled paleontologists to get the first modern picture of how T. rex lived. 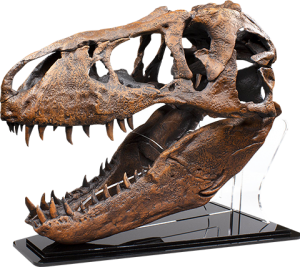 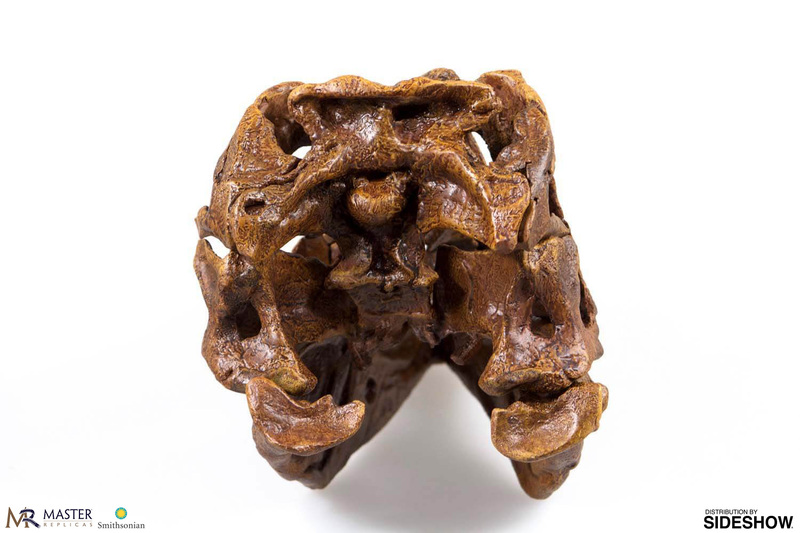 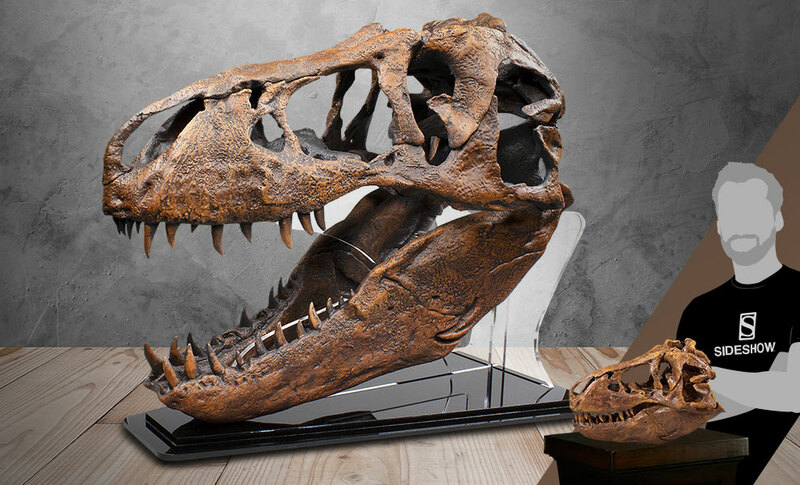 This premium replica by Master Replicas Group is approximately 10 inches tall and is made from 3D digital scans. 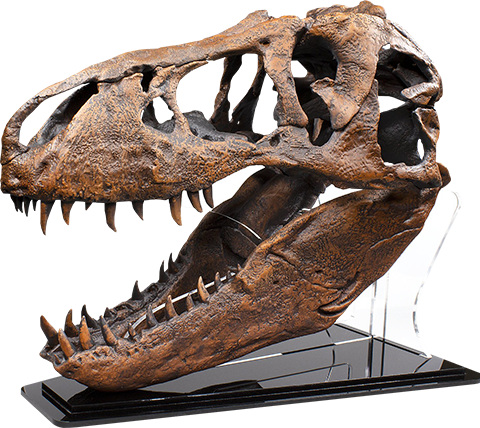 Pay as little as $357.75/mo.